In the following essay I am going to talk about one of the most famous and amazing graphic designers in the world, Saul Bass. The second part is going to be about his life; in the third and fourth sections I am going to talk about his works and the innovations that he brought into the graphic design area and also in cinematography. In the fifth part I will include some final remarks and a conclusion. Saul Bass was a graphic designer and art director born in New York in 1920. He studied art at Brooklyn College and then, in 1946, he moved to Los Angeles and founded Saul Bass and Associates creating logos for different companies. After moving into the cinematographic area, he started creating trailers and titles for films, at first for Cameron Jones and later on, for Alfred Hitchcock (North by Northwest, Psycho [image 2], Anatomy of a Murder [image 3],Goodfellas, Vertigo [image 4]). The artwork he created for these movies is, in my opinion the reason why Saul Bass is so famous today. He died on April 25th 1996 in Los Angeles of “non-Hodgkins lymphoma, his family said” (New York Times, 1996). 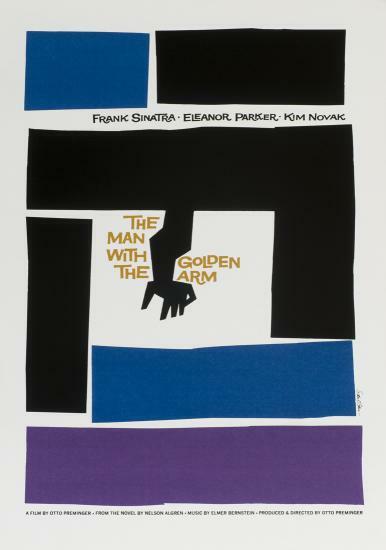 Saul Bass brought important innovations in the ways the cinematographic posters were done “for the first fifty years of American cinema, posters were comprised of either paintings of photos of favourite stars to lure audiences into darkened auditoriums. And that’s the way it would most likely to be today if it weren’t for one man: Saul Bass”- this is how Paul Zimmerman describes the new ideas that Bass introduced into the cinematographic field. 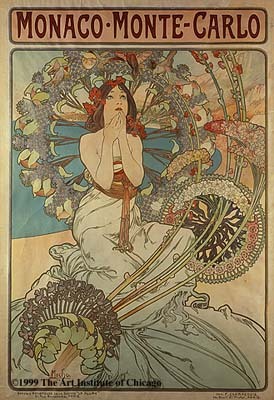 He introduced the simple design into film posters’ artwork. His designs are now an important part of the graphic design’s history. Also, Bass is famous as “the man who invented the opening credit sequence as a free-standing-movie-before-a-movie and elevated it into an art” (New York Times, 1996). I think that Saul Bass managed to capture the essence of design and what it should do, and mastered it: “beneath theory and rhetoric, and well beyond technique and jargon, the reason for design is to speak to people in a language that is familiar, but also new, to entice people to understand an old thing into a new way” (David R. Brown, 1982). 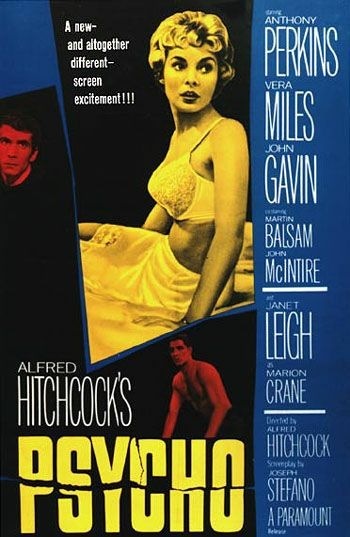 The most famous artwork that Bass did is the shower scene in the movie Psycho but, in my opinion, the most impressive and influencing of his work is the poster for the film The Man With The Golden Arm” (image 5) that is a huge step forward, in my opinion, for movie poster designs “with his striking credit sequences and animations, Bass exerted tremendous influence over film title work” (Oxford Dictionary of Modern Design, 2005). 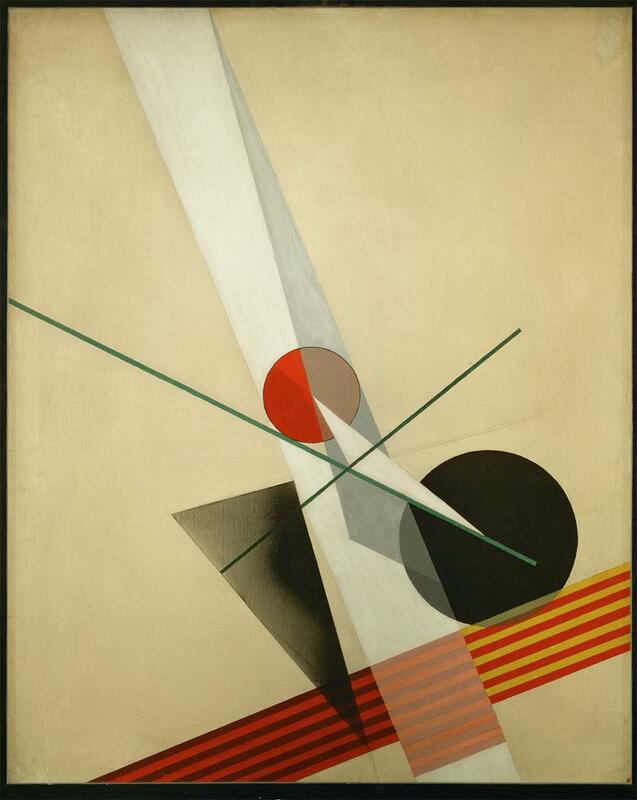 It’s easy to see that Bass was influenced a lot by the Bauhaus style and the Russian Constructivism: “Kepes introduced Bass to Moholy’s Bauhaus style and to Russian Constructivism” (Oxford Dictionary of Modern Design, 2005). But, in my opinion, Bass had successfully combined his unique style with these two, the amazing result remaining an icon for the art world and not only: “Saul Bass’s work touches people. Not just designers, or students, or observers of design, or those who know and can explain what a designer is and does, but simply people- many, many people. It’s a cliché, but Saul Bass really has done it all. Film. Packaging. Products. Architecture. Corporate Identification. Graphics. 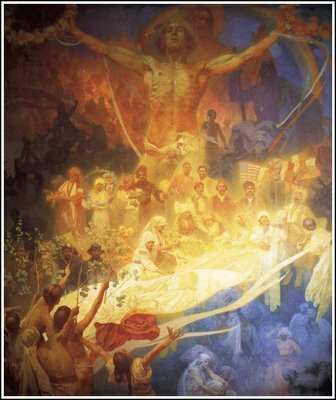 His work surrounds us” (David R. Brown, 1982). 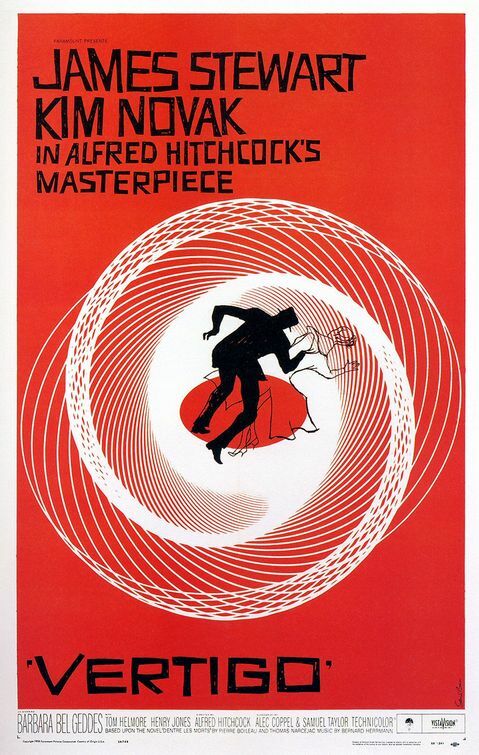 I think that Saul Bass’ innovation had a great influence on how we see the movie titles and the posters today and in my opinion, he succeeded in achieving both graphic design and film design absolute success “Bass is the first to disavow the widely held idea that graphic design and film design are closely related disciplines. In medium, time, concept, technique and technical aspects, they are not (…).Yet, Saul Bass has not only mastered both, he is confortable in both” (David R. Brown, 1982). 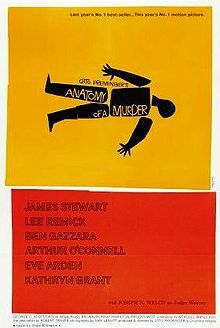 All in all, Saul Bass was always one of the artists who’s style inspires me and which I appreciate. What was so great about Saul Bass’s designs? “The broken sword of Saint Joan, the outstretched hands to freedom in EXODUS, the simple lines that recall the fire escape in WEST SIDE STORY. One movie reduced to a single image. These images are the distilled genius of BASS”- Joe Kocker American DesignFor the first fifty years of American cinema, posters were comprised of either paintings of photos of favourite stars to lure audiences into darkened auditoriums. And that’s the way it would most likely to be today if it weren’t for one man: Saul Bass who died on April 25th 1996 at the age of 75.Eschewing the “big head” theory of advertising in the mid-50, designer Bass broke tradition with his savage, jagged print objects and use of designs. His bold, confident lines and simple images recall the best Soviet commercial design of the 20s, while adding a decidedly American twist to the final product.Best known for his work with directors Alfred Hitchcock, Otto Preminger and Stanley Kubrik, Bass broke things wide open in 1955 with the foreboding poster and titles to The Man with the Golden Arm. Setting aside images of lead mug Frank Sinatra, Bass instead grabbed audiences with a simple silhouette of a twisted arm.His swirling, op-arted designs for Vertigo and Psycho tipped viewers off through posters and title sequences that were about to have their equilibrium disrupted.Symbolize and summarize were the words Bass lived by, and his careful choice of single images quickly set the tone for such films as Preminger’s Exodus and Anatomy of a Murder.So valued was Bass’s visual opinion, he served not only as title designer but as visual consultant on Spartacus, West Side Story and Grand Prix. Yet his most famous collaboration must be his storyboards for the infamous shower scene in Psycho.Over the years, a great debate has grown over what’s been called the most famous and studied scene in the cinematic history: Bass claims he actually directed the scene, co-stars and historians disagree.After a golden period that lasted well into the mid sixties, Bass’s innovations fell out of fashion. 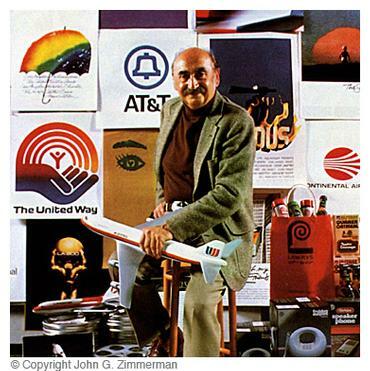 Turning to corporate design with his firm, Saul Bass and Associates, he subsequently put his stamps on the corporate world with logos for the likes of United Airlines, AT & T and Quaker. In between, he crafted several short features, and in ’74 directed Phase 4, to mixed results.Bass was called back to duty by a generation of directors who’d grow up loving his work. First came an offer to do the titles for Jim Brook’s Broadcast News which was quickly followed by work on Penny Marshall’s Big and Danny de Vito’s War of the Rose. The creative juices really started flowing again when rapid film fan Martin Scorsese stoked the master. For Cape Fear, Good Fellas, The Age of Innocence and Casino, Bass and wife Elaine set out to make mini movies that would set the tone for what was to follow. Having evolved from the stark symmetry of North by Northwest’s opening, Bass’s modern age titles are now more subtle: for Age of Innocence the slo-mo blossoming of laced rose perfectly sums up the film’s themes of formality and sexual urges and repression: for Casino, Bass sent a car-bombed de Niro spiralling through a non inferno predicting his subsequent decent into hell.Recently, Bass was paid tribute to in more ways than one. While the east coast prepared to celebrate the grand master with an exhibit at the Visual Art Museum in New York, across the country Spike Lee’s art staff chose to lift Bass’s Anatomy of a Murder graphic line to line and use it to promote the film Clockers, Bass threatened legal actions, the press had a field day and subsequent display adds in newspapers were quickly altered. Born in New York, graphic designer and art director Saul Bass trained as an animator under Howard Trafton at the Art Student League in New York (1936-9) and the European-influenced designer Gyorgy Kepes at Brooklyn College (1944-5). After moving to Los Angeles in 1946 and introducing sophisticated East Coast graphic solutions to the highly commercial ethos of the West Coast, he founded Saul Bass Associates. He was responsible for a number of logos, including AT&T and Warner Communications, and corporate identity schemes for airlines, including Continental. He first attracted more widespread attention after moving into film, designing the artwork, trailer, and titles for his father-in-law Oscar Preminger’s Carmen Jones in 1954. This was followed by work for Preminger’s The Man with the Golden Gun (1956), Billy Wilder’s Seven Year Itch, and a series of striking collaborations with Alfred Hitchcock. These involved the title shots for North by Northwest (1959) and Psycho, for which he was also employed as Pictorial Consultant for the famous shower scene. With his striking credit sequences and animations Bass exerted tremendous influence over film title work, including Around the World in 80 Days (1956), Anatomy of a Murder (1959), Goodfellas (1990), and Casino (1996) and many others. He also made the US contribution to the 1968 Milan Triennale and was later recognized for his striking poster for the 1984 Los Angeles Olympics. Even before he made his cinematic debut, Bass was a celebrated graphic designer. Born in the Bronx district of New York in 1920 to an emigré furrier and his wife, he was a creative child who drew constantly. 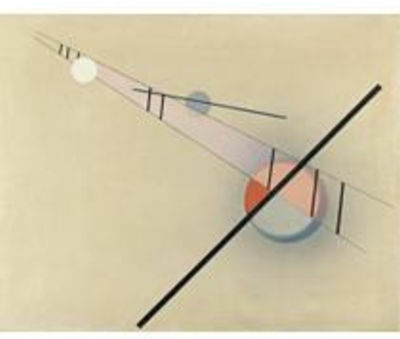 Bass studied at the Art Students League in New York and Brooklyn College under Gyorgy Kepes, an Hungarian graphic designer who had worked with László Moholy-Nagy in 1930s Berlin and fled with him to the US. 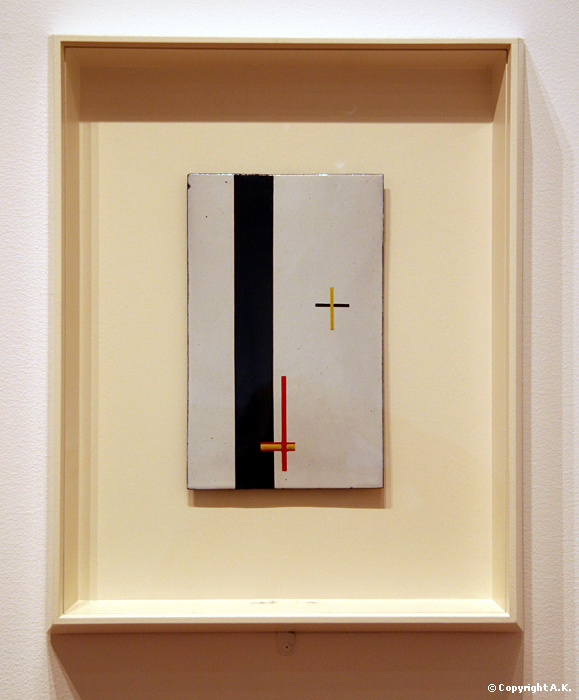 Kepes introduced Bass to Moholy’s Bauhaus style and to Russian Constructivism.After apprenticeships with Manhattan design firms, Bass worked as a freelance graphic designer or “commercial artist” as they were called. Chafing at the creative constraints imposed on him in New York, he moved to Los Angeles in 1946. After freelancing, he opened his own studio in 1950 working mostly in advertising until Preminger invited him to design the poster for his 1954 movie, Carmen Jones. Impressed by the result, Preminger asked Bass to create the film’s title sequence too.Now over-shadowed by Bass’ later work, Carmen Jones elicited commissions for titles for two 1955 movies: Robert Aldrich’s The Big Knife, and Billy Wilder’s The Seven Year Itch. But it was his next Preminger project, The Man with the Golden Arm, which established Bass as the doyen of film title design. Beneath theory and rhetoric, and well beyond technique and jargon, the reason for design is to speak to people in a language this is familiar, but also new, to entice people to understand an old thing in a new way, or grasp a new thing in an old way.Saul Bass’s work touches people. Not just designers, or students, or observers of design, or those who know and can explain what a designer is and does, but simply people—many, many people.It’s a cliché, but Saul Bass really has done it all. Films. Packaging. Products. Architecture. Corporate identification. Graphics. His work surrounds us. Pick up the telephone and you’re hard-pressed not to recall Bass’s ubiquitous Bell System symbol and look. Take a plane—United, Continental, Frontier: Saul Bass. Go to a film—Psycho, Anatomy of a Murder, Exodus, Spartacus, The Man With the Golden Arm, Advise & Consent, Such Good Friends: Saul Bass. In the supermarket or in the kitchen—Wesson, Quaker, Alcoa, Lawry’s, Dixie: Saul Bass. Relax with a magazine, read a book, watch TV, take some pictures—Saturday Evening Post, Warner, Minolta: Saul Bass. Give to charity—The United Way, Girl Scouts: Saul Bass. Strike an Ohio Blue Tip match.Bass is the first to disavow the widely held idea that graphic design and film design are closely related disciplines. In medium, time, concept, technique and technical aspects, they are not. Graphic design is a solitary or small group exercise in creating. Film directing and producing are management efforts of large groups of people, equipment, variables and idea. Yet Saul Bass has not only mastered both, he is comfortable in both. And the Bass competence extends along another axis of accomplishment. In the following essay I am going to talk about Alexander Fisher. The essay is organized as it follows: in section 2 I am going to talk about Fisher’s life and how he started doing enamellings; in section 3 I am going to talk about his style and his works; in section 4 I’m going to approach the subject on the influences Fisher had and how he inspired JRR Tolkien; section 5 contains some final conclusions. Alexander Fisher 1864-1936 was a British silversmith that specialized in enamelling. He taught at LCC Central Schools of Art and at other British schools. Although Fisher started at the beginning as a painter, he became interested in enamelling and moved to Paris to study this art. After returning to England, he started making jewellery and published some books on enamelling. Alexander Fisher is known as “the key figure in the revival of enamelling in Britain, in the late 19th century” (National Museum of Scotland, 2008) and is “responsible for the revival of the Limoges technique” (Linda Perry, 1993). He was also a very influential teacher and was a lecturer at many British Arts and Crafts Schools. Fisher is one of the most representative artists for the Arts and Crafts Movement in Britain. The Arts and Crafts movement was born from the European and American artists’ need to “brake away from the academic bias that extrolled the classical heritage of Greece and Rome. They found new inspiration in the art of craft.” (Marilyn Stockstad, 2008, p. 893). 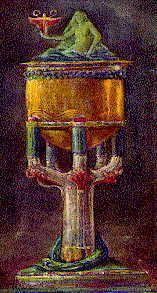 Fisher was part of this movement, giving up on painting to study enamelling, he “made specimen pieces demonstrating his mastery in various techniques. These included a large silver and plique- a jour tazza with pierced out openwork, a series of profile portraits following the traditional Limonges style, and a few large scale enamel paintings as fire- screens” (Erika Speel). Some of these examples are The Travelling Icon (image 1), Tristan and Isolde Buckle (image 2). I personally don’t really like this kind of art, but anyone can notice and appreciate the talent that Fisher put in all of his work, and we can also notice the warm, harmonic colours that he uses in his enamels, for example in Triptych: Life of St Patrick (image 3)”extremely graceful and romantic in choice of colours with blue, green and purple predominating, and with soft pink or white opalescent enamels representing the faces and the flesh areas.” (Erika Speel). In the end, Alexander Fisher is and will always be an important figure in the British Arts and Crafts Movement and his artwork will remain a point of reference in the enamelling history and will continue to inspire artists from various domains. What makes Fisher such a great enamel? The fact that all his artwork was made as fine art pieces. Alexander Fisher, silversmith, was a leading artist working with enamels. He taught at the LCC Central School of Arts and Crafts from 1896-1898 and later at other London Schools. He also had several private pupils. In the spirit of the Arts and Crafts Movement, he advocated that every artwork should express a particular idea and should be designed and worked through all its stages by one person. Fisher made specimen pieces demonstrating his mastery of various techniques. These included a large silver and plique-a-jour tazza with pierced-out openwork, a series of profile portraits following the traditional Limoges style, and a few large scale enamel paintings as fire-screens. 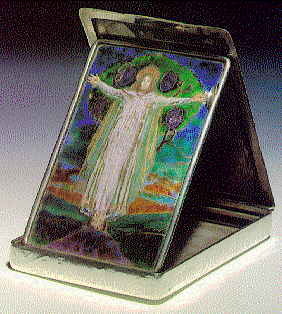 The colourful composition entitled The Wagner Girdle (1896) with steel links and painted plaques showing scenes from the opera Tristan and Isolde, now in the Victoria and Albert Museum Jewellery Gallery, demonstrated his skill in making small scale figural pieces. His plaques generally measured up to 18 cm x 10 cm (7 in x 4 in) and were of silver, or copper covered partly with silver or gold foil. His figural compositions are extremely graceful and romantic in choice of colours, with blue, green and purple predominating, and with soft pink or white opalescent enamels representing the faces and flesh areas. 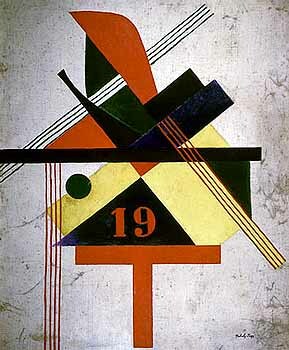 His works in this genre were designed as pieces of fine art. He considered the considerable output of the many trade enamellers working at this period as being frivolous and lacking in individuality. When the young J. R. R. TOLKIEN won the Skeat Prize for English in the Spring of 1914, he used the proceeds to purchase editions of William Morris’s books including his translation of the Volsunga Saga. Fisher trained as a painter but became interested in enamelling and went to study its technique in Paris. Returning to England in 1887 he set up a studio making jewellery and objects decorated with figures in a late Pre-Raphaelite style. He published and lectured or enamelling and was responsible for the revival of the ‘Limoges’ technique. He taught for a while at the Central School of Arts & Crafts but in 1904, set up his own school in Kensington. His work was often published in the Studio Magazine and the Art Journal and shown at many international exhibitions, at the Royai Academy and the Arts & Crafts Exhibition Society. His embroidery designs were executed by his wife and by The Royal School of Art Needlework. Alexander Fisher was the key figure in the revival of enamelling in Britain in the late nineteenth century. This work stands out as his most ambitious and important work due to the size, shape and brilliant colour of the enamels. 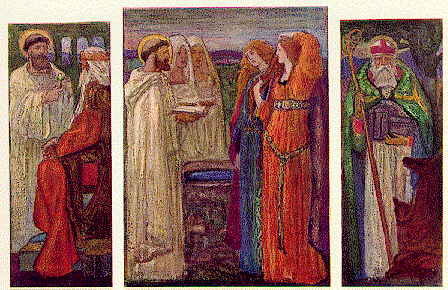 Fisher appears to have been inspired by paintings of the Garden of Hesperides by Edward Burne-Jones and Lord Leighton. The overmantel was commissioned or bought by Arthur James Balfour, who became Prime Minister in 1902, and was installed in the dining room of his great mansion at Whittingehame in East Lothian. 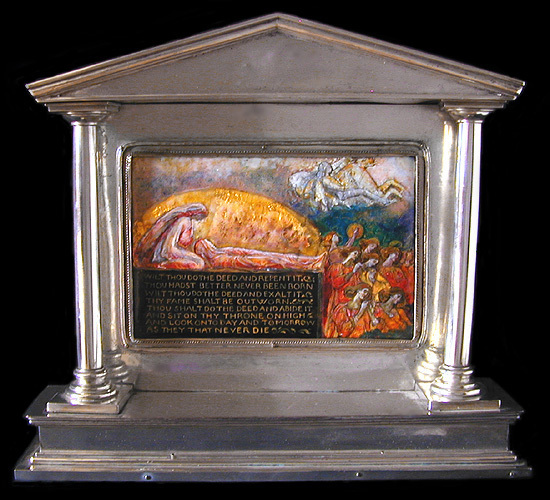 The overmantel enriches the collection of Edinburgh-made and locally-related enamels in the National Museums of Scotland as well as linking to other works from the Arts and Crafts movement. The indigenous peoples of the Americas did not produce objects as works of art. In their eyes all pieces were utilitarian objects, adorned in ways necessary for their indeed purpose. A work was valued for their intended purposes. A work was valued for its effectiveness and for the role it played in society. And as with art in all cultures, many pieces have had great spiritual or magical power. Such works of art cannot be fully comprehended or appreciated when they are seen only on pedestals or encased in glass boxes in museums or galleries. They must be imagined, or better yet seen as acting in their societies. 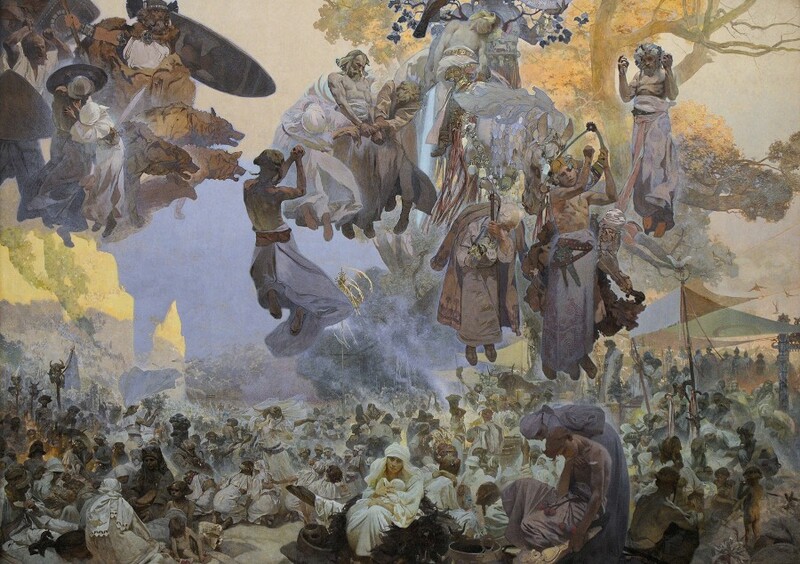 At the beginning of the 20th century, European and American artists broke away from the academic bias that extolled the classical heritage of Greece and Rome. They found new inspiration in the art of craft. Artists explored a new freedom to use absolutely any material or technique that effectively challenged outmoded assumptions and opened the way for a free and unfettered delight. The line between “art” and “craft” seems more artificial and less relevant than ever before.